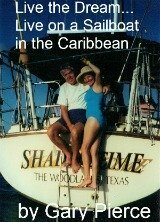 I have to tell you, to retire to Bisbee is certainly not for everyone. If your best Arizona retirement living, is golf in a master-planned community. Bisbee will be a great place to visit, maybe take your friends, but you would not want to live there. And that is just fine for the 6500 folks that call Bisbee home...it's not for everybody, and you will soon know if retiring to Bisbee makes any sense to you. Bisbee is 85 miles from Tucson, on on highway 80...it's 10 miles to Mexico...no one stumbles upon Bisbee it has to be your destination. Bisbee was founded in 1880 as a mining town producing silver, gold and copper... the gold and silver did not last long, and in 1917 an open pit copper mine was up and going...the population of Bisbee swelled to 20,000. However in 1975, Phelps Dodge, which ran the coppermine, decided to pullout. Bisbee then became a magnet for hippies, artists, and folks that listened to a different cadence. What was the big attraction? Cheap, sometimes free, as in squatters, housing...and a great climate...Bisbee's elevation is 5500 feet, and gives it a very moderate climate by Arizona standards. Think of Telluride, only warmer with no snow, or condos, or or the skiing crowd. Bisbee is very laid-back and will not be changing anytime soon...it is a great place to visit, but not all would be comfortable retiring to Bisbee. 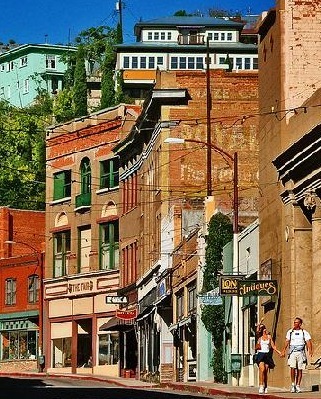 Retiring to Bisbee...if you still wear your Grateful Dead T-shirt or think that your tie-dyed dress is your idea of current fashion...Bisbee may be for you. If you really like Sedona and it's New Age stuff, but can't afford the expensive Sedona real estate...you may be a candidate to retire in Bisbee . Some do call the Bisbee climate the best in all of Arizona...and if you think Arizona without golf would be a crime, the Turquoise Valley Golf Course in Naco, 10 miles from Bisbee, has the distinction of being the oldest continuously operating golf course in all of Arizona. 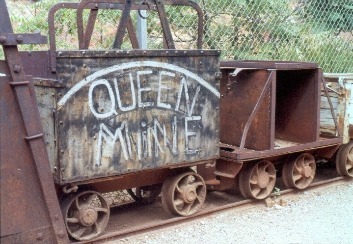 Most folks that visit Bisbee take the tour of the Copper Queen mine...yellow slicker's, hardhats, the whole 9 yards. Most will enjoy walking the streets of downtown...lots of art galleries, some surprisingly good restaurants (Bisbee, has a Dot's diner... I'm not making this up)...watch your step the sidewalks aren't exactly pristine but that's part of the charm. Visit Brewery Gulch, and have a cold one at the Old Bisbee Brewing Company...and another at St. Elmo's. If you retire to Bisbee you will know exactly what you're looking for...it is not for everyone...but that is what's charming about Bisbee.